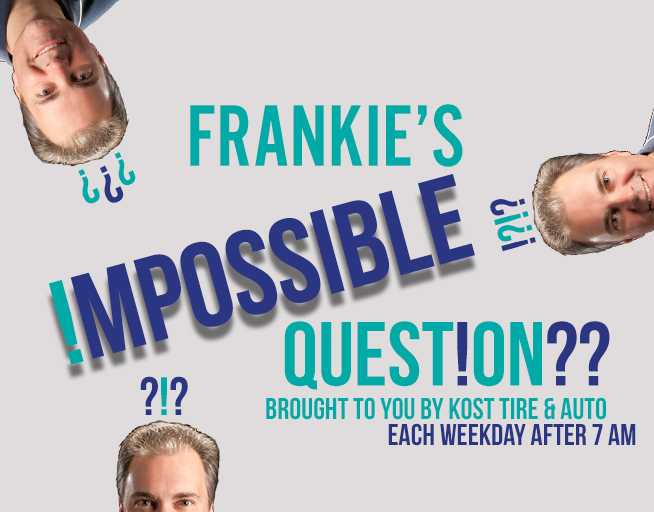 Listen to Frankie in the Morning, each weekday after 7 am for the Impossible Question! If you know the answer, call in and you could have a chance to win a $50 Kost Tire gift certificate good towards tires and service! Each winner is also qualified to win the Grand Prize of $400 for new tires! One winner will be chosen on the last day of each month. From the great guys with great service! At your local Kost Tire Dealer, it’s always a great day to buy new tires!